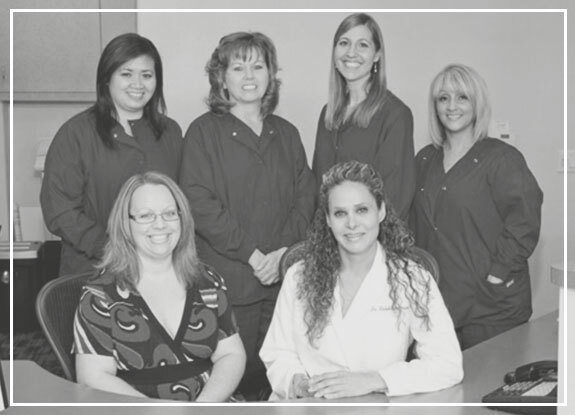 Our dentists and team want to make your experience at our friendly practice as pleasant as possible. When you visit Almaden Plaza Dental Care, our team will greet you by name, and ensure that you feel comfortable and relaxed during your appointment. Your care and comfort are our highest priority, and we are known for delivering personalized service. We respect your schedule, and make an effort to see you on time so that you can continue your day without any problems. Dr. Haleh Karimian, Dr. Kim, Dr. Chang and our team also love working with families. We are proud to be a family-oriented practice, and provide our services for patients of all ages, including children. When you bring your child to our practice for his or her first dental appointment, you can be certain that we will provide gentle care and help your child develop positive associations with visiting the dentist. Almaden Plaza Dental Care also works with a local dental lab, Synergy Ceramics. We have chosen to work with this lab due to their dedicated attention to detail and the high-quality restorations this commitment produces. Our partnership with Synergy Ceramics ensures that your fillings, crowns, implant restorations, and other restorative treatments look and feel natural and compliment your smile beautifully. Our experienced dentists stay up-to-date with the latest developments in dentistry, integrating new techniques and technologies to enhance your experience at our practice and help you enjoy a beautiful smile. When you visit our office, you can rest assured that your smile and oral health are in the hands of caring, professional perfectionists. We also provide our services in the languages of Spanish, Farsi, and Filipino. To learn more about Almaden Plaza Dental Care and make your appointment with our dentists in San Jose and Morgan Hill, California please contact us today at 408-266-4690.